Last month, Ilika announced the second in the Stereax® family of solid state batteries. The Stereax P180 joins the Stereax M250, launched in April 2016, bringing innovative battery technology to a wider range of applications. Innovative battery technology is key to enabling access to power in the IoT space and, with the introduction of the Stereax P180, there is now a battery technology designed to address the needs of more hostile environments created by Industrial IoT, Automotive, Infrastructure, Aerospace, etc. The Industrial IoT space is accelerating as more businesses digitize their processes and increase the number of sensors used across their sites. The inability to power small, autonomous devices without additional cabling or a requirement to maintain batteries has been a limitation to date, especially for retro-fitting to existing equipment. 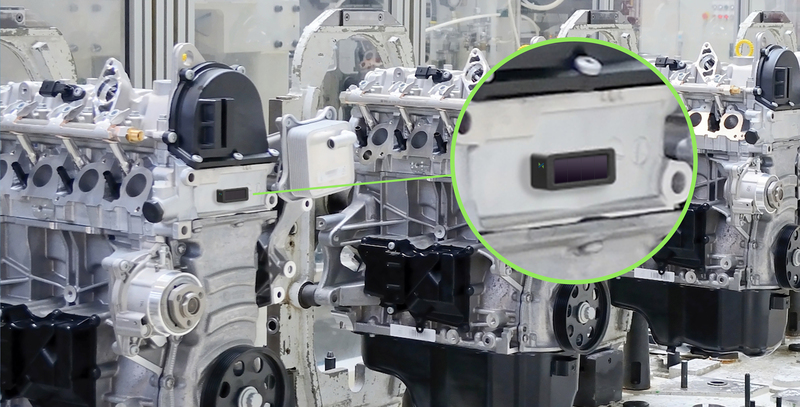 The added challenge of being able to power these sensor beacons across a wide range of temperatures has either made them too expensive to install or not reliable enough to meet the application’s needs. The challenges of extended temperature range, minimal maintenance and reliability are key to many industries. Stereax brings all the benefits of a solid state battery to these challenging environments: high energy density; fast charge; long lifespan; non-flammable and ease of integration with MCUs with support for extended operating range of –40°C up to +150°C. This is the first solid state battery technology that has been designed to address the needs of industries that have to address the challenges of wide temperature ranges. As beacons get smaller, miniaturization of battery technology is key. The Stereax P180 is just 10μm thick and, even with encapsulation, is only 1mm thick. This, in combination with an active footprint of only 10 mm x 10 mm, brings a small, thin battery technology that can be easily incorporated with MCUs to minimize the size of the control functionality in a sensor beacon. And, in this small package, the Stereax P180 offers a capacity of 180 μAh and an operating voltage range between 3.0 and 4.1 V.
Although sensor beacons are increasingly using energy harvesters to generate the required power, the energy source is not always present, resulting in the need for additional power storage. Stereax battery technology can be integrated with energy harvesters such as photo-voltaic cells to provide a seamless power source. Stereax technology removes a critical barrier to creative sensor uses by bringing a range of products that can be tailored to meet the needs of more demanding environments.